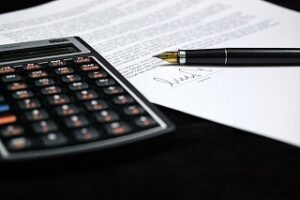 Although your employer is not obliged to make a contribution to your legal costs for obtaining advice on a settlement agreement generally they will, provided that you sign the settlement agreement. Our settlement agreement fees are listed below. Call 01925 937070 to make an appointment with a solicitor or complete the ‘Contact our Solicitors’ form at the bottom of this webpage. We are more than happy to answer any questions you may have about your settlement agreement and our fees. We are experts at advising on settlement agreements and compromise agreements. Our office is based in Warrington, minutes away from Junction 8 of the M62. We have free car parking and disabled access, including a lift. We can deal with your agreement face-to-face, by email or over the telephone if you prefer. Only a fully-qualified solicitor will advise you on the terms of your settlement agreement (also known as a compromise agreement or termination agreement), meaning you can be assured you are receiving the best possible quality advice. You can find out more by visiting our Settlement Agreements page. We can also assist with other areas of employment law such as discrimination and unfair dismissal. We also deal with personal injury claims including road traffic accidents (car accidents), slips and trips, accidents at work, accidents involving children, oaths, affidavits and statutory declarations, wills and probate, lasting powers of attorney, criminal injury compensation claims and medical negligence (also known as clinical negligence). We also advice on professional negligence claims including claims against barristers, other solicitors and accountants.